I am training for my first Oxfam challenge but am having a lot of trouble with my left archilles. I have read previous posts where you have suggested it may be the smaller muscles around the tendon but am finding discomfort at touching the tendon and swelling after walking on it. I am currently travelling around south east Asia and should probably be walking a little less but I took it very easy before my trip and it still didn't seem to heal. It gets worse the more I walk and sometime goes so tight that I have to stop I pain and give it a few minutes. Is there something I can do to strap or support it as the oxfam teailwalker is only a few months away. I have been to a physio but he was only massaging it and then strapping it which he advised me to leave on for 24 hours and it wasn't helping only while the strapping was on. There has been an upsurge in Achilles tendon injuries in the last year. In fact last year was a record for me. There are a number of causes but there is one causation that stands out above all else: Footwear. But why now? I think the problem is in the shoe design which has high, hard heel counters (refer photo above). Running shoes are designed in places like California where their idea of off-road is a manicured track - nothing like the rough stuff you find in New Zealand! The real damage happens when walking or running down very steep slopes or stepping into depressions like pot holes where the foot is forced into extreme plantar flexion while the Achilles tendon has to snap taught. This causes a guillotine chopping of the Achilles tendon. 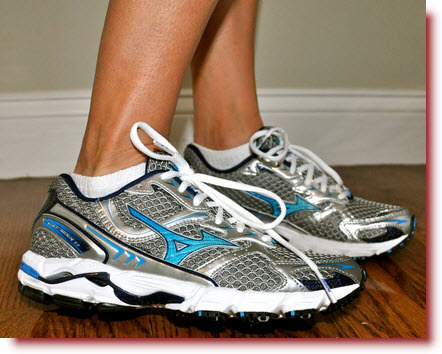 This action can be repeated a thousand times during an hour or so of walking or running. It is therefore hardly a surprise that Achilles tendon injuries are on the increase in New Zealand. Check to see if your most tender spot on the Achilles fits with where your shoes bite into the tendon. If this appears to be the case then it is best to biff your shoes and get a new pair that has a low-cut heel counter. If you can't bear to do this, you could resort to partly cutting away the heel counter of your $220 pair of shoes! Please take time to read the string of articles about Achilles tendon injuries here.